Not too long ago a sweet friend of mine began sharing some of her scripture journal entries on her blog. It has been inspiring to read the thoughts she shares on a weekly basis and inspired me to do the same. Her series is titled "Sweet is the Word" (check her out, here) and in light of not totally copying, I've been on the hunt for my own title for this scripture series. This afternoon while driving in the car, Sadee belted out from the back seat, "Scripture Power, keeps me safe from skin.... sin! Scripture Power, is the power to win!" And there it was, after weeks of thought - a title that encompassed my feelings about the scriptures, as it probably does for many. For a long time, I had been really deterred by spiritual messages on social media for two big reasons. 1) my heart had become hardened to spiritual things and the Holy Ghost and 2) everywhere I looked, hypocrisy lurked in little quoted phrases. It was hard to recognize the lack of guidance in my life and was hard, and even more damaging, to judge people on the difference between their real lives and what "spiritual" thoughts were shared in public. I wanted to try harder to be better, but I didn't want to be hypocritical by sharing scriptures or uplifting quotes, when in reality, most of my time was spent being judgemental and critical of everything and everyone. More importantly, I wanted to change for myself, my husband and children - not for applause from others. I didn't want people to think that I was some kind of spiritual giant, when in reality praying felt painful and opening my scriptures felt daunting. And there it was, my hope. My faith was wavering, my path unknown - but I DESIRED to believe and the Lord knew, so he blessed me with hope to continue pressing forward, regardless of my questions and weaknesses. And oh how my weaknesses are many! From then on, my heart has opened and my testimony has been strengthened. Many out there know me personally (most, in fact, that read this do) and may roll your eyes like, "There she goes on her soap box again." And it's true. Many of you know my weaknesses far too well and have been on the negative side of my shortcomings. I'm not here to preach or to say that I'm perfect - in fact, more than anything, I know that I'm far from perfect and fail daily at many things, especially my relationships with others. But, I'm trying. I want this life portrayed on social media to match the life I live from day-to-day. I want others to know it is possible to build a broken testimony, to know that God lives and loves us. The scriptures have not always been easy for me to read, or want to read. 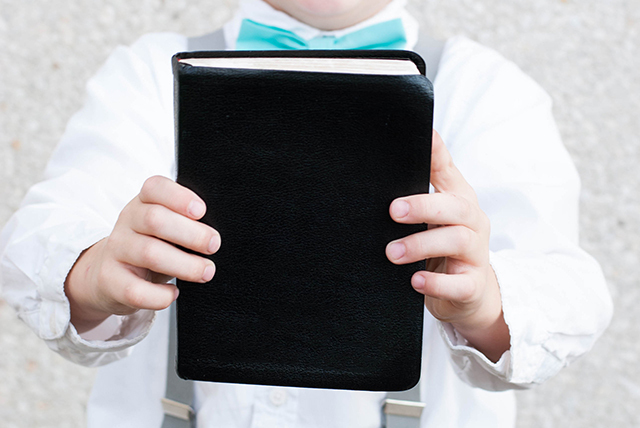 Those that have shared their personal testominies in public through various capacities provided beacons for me when the thin pages of the Book of Mormon were too heavy to turn. It made it easier for the Lord to talk to me, through those angels who so bravely shared their light. My testimony has grown greatly in the past couple of months. Why? Because the DESIRE deep in my heart. I never knelt down to pray or ask the Lord, but I thought about it daily - What am I missing? Why does my faith feel weak? And as I thought, the Lord guided me to people, scriptures, talks, meetings that taught me specifically. It became apparent that because my heart had been opened, the spiritual guidance was being poured down and my empty bucket was being filled. I understand more fully what it means to have an older brother, Jesus Christ. I know that he loves us each individually, for all of our similarities and differences. I know that somehow, when we make time to read our scriptures, we have more time in the day to finish those menial tasks. I know that we each have a purpose here in this life to grow and learn. And I know more than anything else, that we are eternal beings, created by a loving Heavenly Father. We are not forgotten or alone. We are loved, sooooo loved. With that same knowledge, I know that Satan is real and tempts us every minute of every day because he wants us to fail. But, when we hold fast to Christ and his Truth we can ask for strength to overcome those whisperings of self-doubt, anger, fear and bitterness. And so there it is, my testimony - that all started with a simple desire to feel the Spirit in my life. It runs true and deep to my very core. This little series will normally be more concise, but you know - All. The. Feelings.